FOR years my bumpy nose had bothered me. 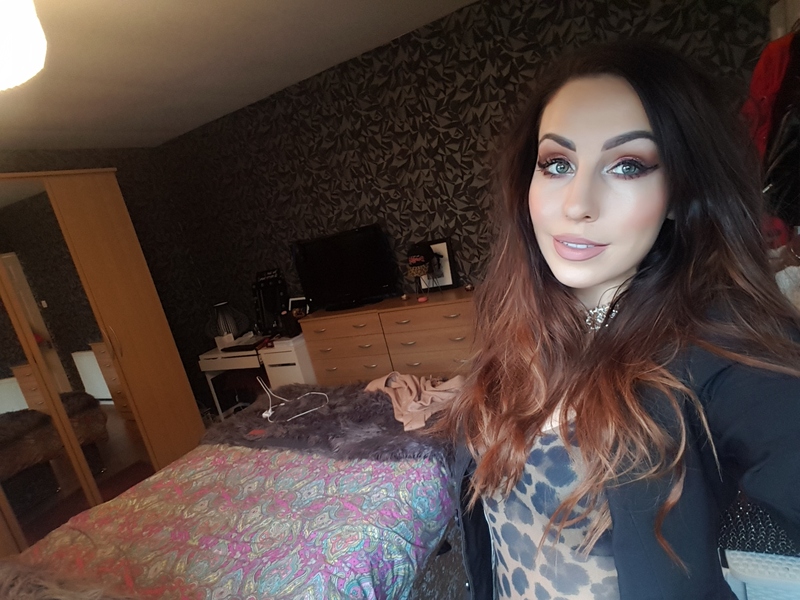 Whether it was catching a glimpse of the hump from the side on the train, or trying to contour it with makeup from the front, the appearance of my nose had always made me feel self-conscious. Before: Slightly bumpy, crooked appearance. After: Straighter, more refined profile. Of course, I’d looked into surgery procedures. 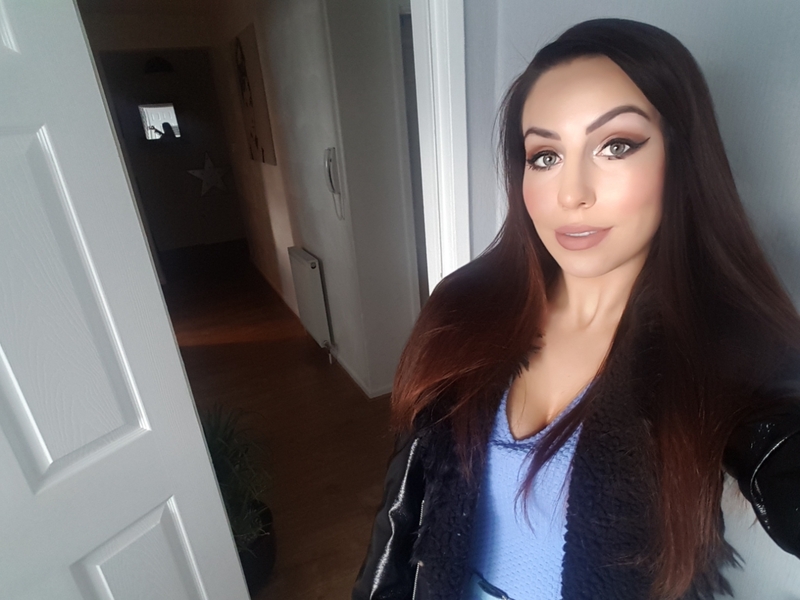 But with a £5,000 cost and the risk of numerous complications, the 15-minute nose job seemed a far more appealing process. 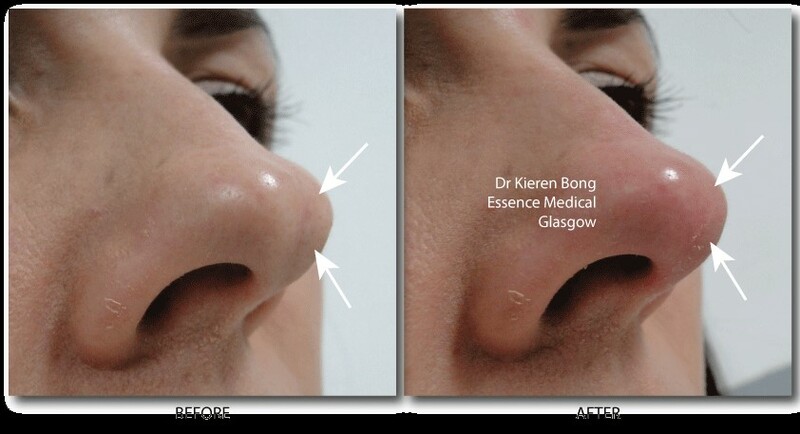 After researching the knife-free procedure for quite some time, I opted to have it done by Dr Kieren Bong, one of Scotland’s leading cosmetics experts. I chose him specifically because he uses a blunt needle instead of a sharp one, meaning I was at no risk of blindness – one of the terrifying reasons I refused to get it done anywhere else. Dr Bong explained: “Depending on the use of the instrument there is a risk of going blind. The reason why there is such risk of blindness is because the use of a sharp instrument, the needle can accidentally enter the blood vessel due to the fact it is sharp. “If it enters the blood vessel, albeit rare, the accidental injection of the filler can block that blood vessel and this could lead to deprivation of oxygen and then the skin undergoes tissue death but if the amount of the filler is not enough to block the blood vessel locally it starts to travel and when this happens it heads towards the back of the eye and can get lodged there and that’s why people can get instant blindness. “So knowing that is caused by the choice of the instrument, we avoid that risk by using an instrument that is blunt. 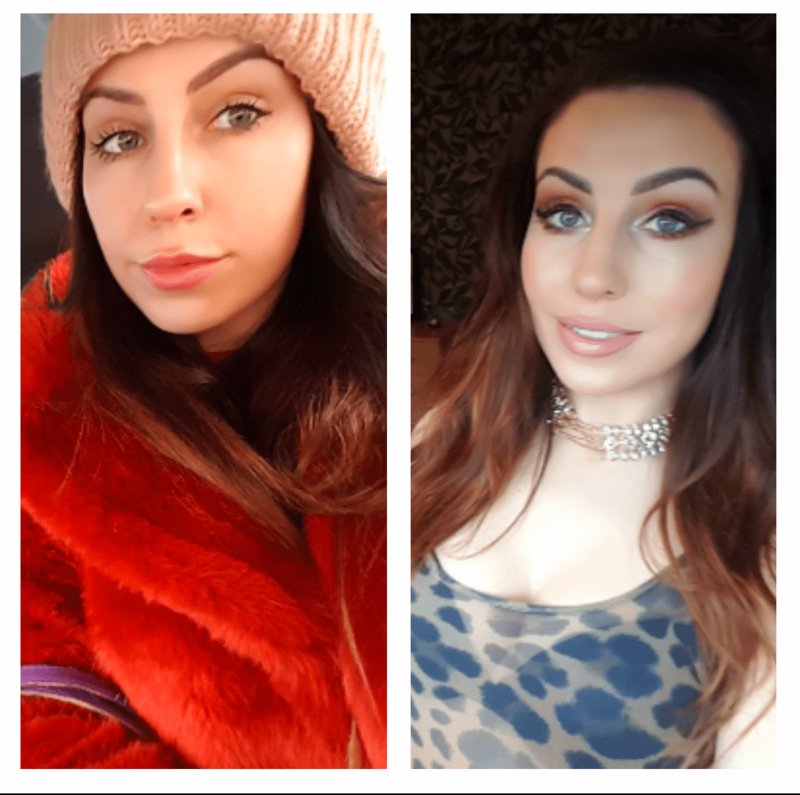 It’s a little bit like a lip enhancement – the reason why it can swell is to do with choice of filler and technique. With my safety fears out the way, Dr Bong then made me feel instantly at ease as I expressed fears that the procedure would actually make my nose look bigger and wider instead of more attractive. 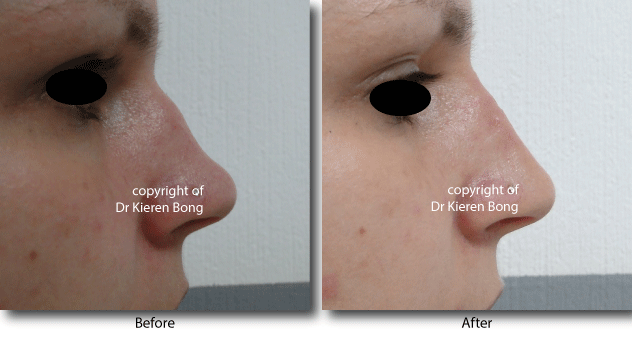 He alleviated them by explaining that although he was adding filler, from the front and side it would give the optical illusion of a slimmer and more refined nose – which I pleasantly learned was true. After his thorough explanation, I was excited to get the procedure started. While Dr Bong injected the centre of the nose to numb it, I felt nothing but a tiny prick and then it took just 15 minutes for him to perfect my new nose. I felt absolutely nothing as he injected and moulded the filler to straighten out my wonky profile. I was in awe while taking a glimpse at my reflection in the mirror – the hump was now completely gone and my side profile almost perfect. The slight bump at the front of my nose was also smoothed out and although I felt my nose was slightly more prominent at first, I learned there could be some slight swelling for a few days. Left: Directly after procedure, without makeup. After: Several hours after procedure, still swollen, with makeup. After two weeks the swelling had vanished completely and my nose looked pretty much perfect and actually smaller looking! When I asked Dr Bong who was most likely to undergo the knife-free nose job, he said: “The most common one is when people have the appearance of a slight hump in their side profile, some people might have a slight deviation in the nose, they call it squint, so we try to straighten that as well. 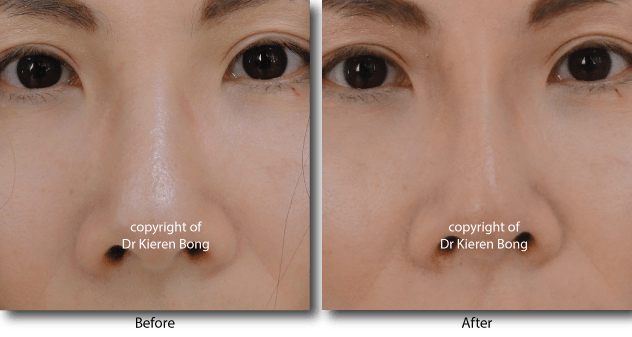 “Some people from the Asian oriental background might have a very low nasal bridge and we can use the filler to create the appearance of a higher bridge. 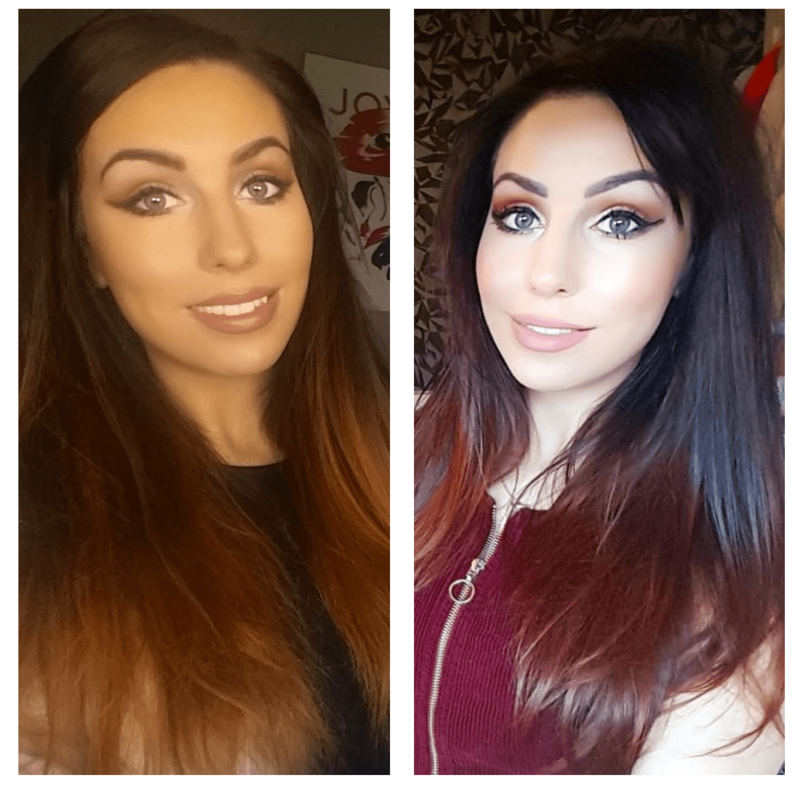 The biggest thing about having the procedure done was the dramatic difference in my confidence. Contouring my face now took seconds and I no longer grimace upon catching my side profile in the mirror. I definitely feel I have a more sleeker, feminine appearance and I no longer avoid photographs like the plague when it comes to capturing my side profile. Dr Bong said the procedure would last up to eight months or so and can easily be repeated at the end of this time period to have the same effect again. Confident: Still slightly swollen one week after injection. At a price of £350, I’d definitely recommend to those who have minor bumps in the nose and are left feeling self-conscious because of it. My entire confidence and mentality has transformed because of this pain-free procedure and I don’t have to worry about the possibility of a botched nose job. I’m amazed that this can be achieved quicker that it takes to finish my lunchtime sarnie.